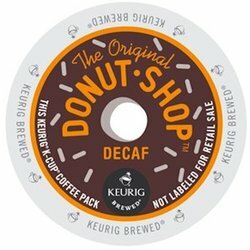 Donut Shop Coffee - Decaf K-Cups. A fresh, bold and flavorful decaf coffee. All the happiness without the jitters! Each box contains 22 single serve K-Cups.